^ That little treat is amazing. It is a bit sticky (just as described), so I almost do recommend a fork! The gooey middle part is sweet with plenty of pecans, and a hint of cinnamon. You’ll love this one. It’s my new favorite. 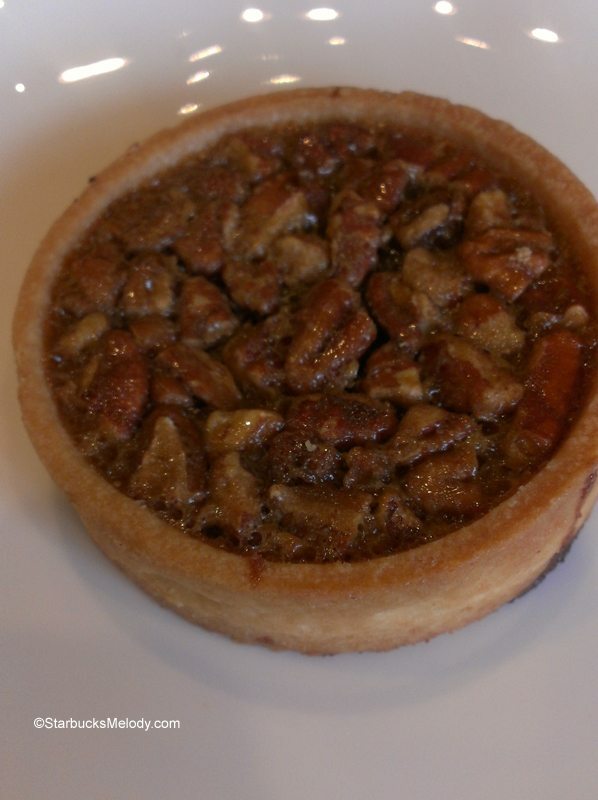 ^ The pecan tart isn’t quite as sweet as the Sticky Bun. I liked this treat, though I liked the Sticky Bun better. I tried this treat both warmed and not warmed, and this is one of the few La Boulange items that I thought was better not warmed. Let me know what you think. I’m not a huge cake pop fan but I do like this one. I think that a brownie interior to the cake pop is much more enjoyable than a yellow cake type interior. And, I do like the coating on this treat. It’s a brownie dipped in white chocolate with peppermint bits in it. 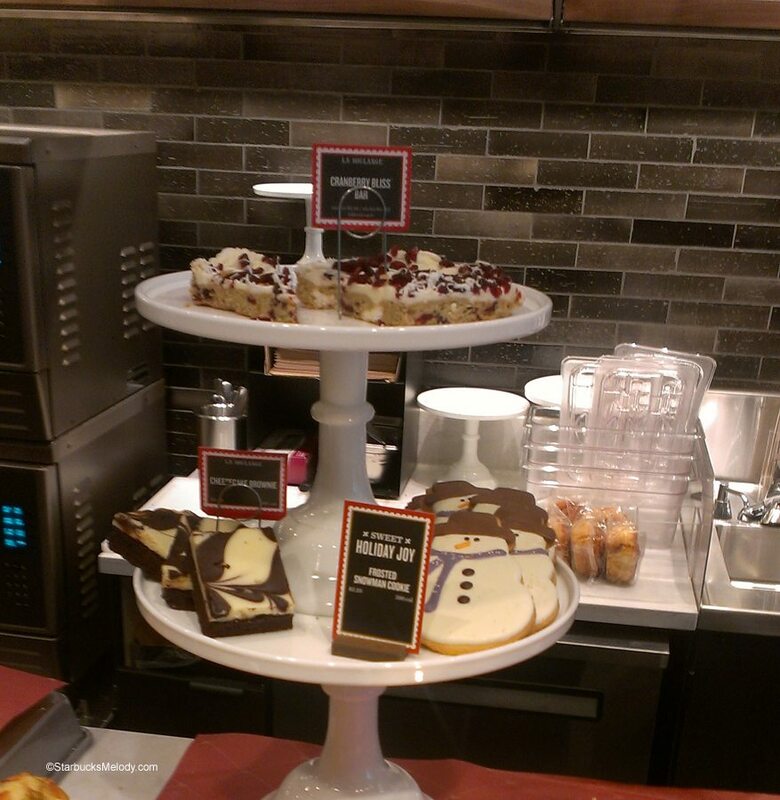 Also, I’ll mention that the snowman cookie, and Cranberry Bliss Bar has returned to Starbucks too. I know that some people really look forward to the return of the Cranberry Bliss Bar every year. Have you tried any of the new items? What’s your favorite? NEWS: Starbucks introducing Evolution Harvest: in Starbucks stores & Whole Foods. Gummy Bears at Starbucks Anyone? Beef Jerky? I tried the cranberry bliss bar last year and wasn’t a huge fan. Now this year I’m addicted to it! I’ve got a tray hanging out in the freezer just taunting me until Thanksgiving comes around! I’ve had both the Tart and the Sticky Bun. 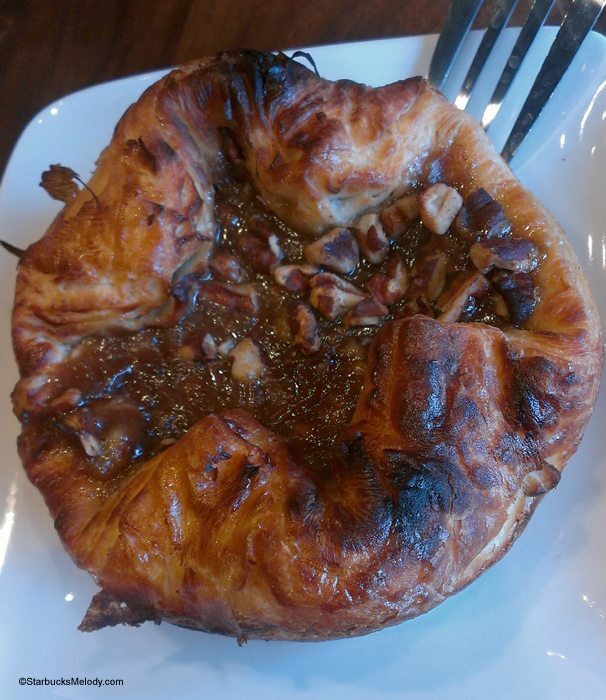 I like the Sticky Bun, but I really liked the Tart much better. The Pecan Tart is something I would hope became more than a seasonal item. I’m not expecting it to happen the way I would like it, but I can see where both the Tart and Sticky Bun could be a year round favorite. IMHO – of course! @DadCooks – My sentiments exactly. Starbucks keeps sending me promo’s for the pastries. So I told the wife recently that I am cutting back on the pastries altogether. The next day, Starbucks came out with these. They weren’t helping me by introducing these 2, especially the Tart. I’m glad to see that those of us that have the La Boulange still get to enjoy some classic favorites! I still will go to a Target or grocery Starbucks specifically just to get the ‘old’ style pumpkin loaf or cheese danish. I miss them! I’m sad that the gingerbread loaf hasn’t made an appearance – that was my absolute favorite treat from starbucks! I still miss the “big pink cookie” – not sure if anyone remembers that – it always made me so happy! I think the ‘sticky bun’ is REALLY good…I don’t remember seeing the tart but haven’t really looked thoroughly. I still miss the chocolate peppermint brownie….that was a loss! I’ll have to look for that sticky bun. Looks really yummy. @Denise – On the FB side of this blog, one person commented that it tastes a little bit like baklava – I think that is right. There is some similarity in flavor. Did you notice that too? I have Greek friends, but have never had Baklava. Maybe its because I’m not a fan of honey. @Melody & Denise. I found the Sticky Bun to have a slight tart flavor to the filling, similar to what you may find in an apple or cherry pie. Does Baklava have a tart flavor? My favorite is the gingerbread loaf, but I didn’t see it when I was in Starbucks this morning (getting my first gingerbread latte of the season). I hope they haven’t stopped selling that. I like the cranberry bliss bars too, but not nearly as much as the gingerbread. 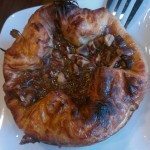 @Melody and @ chgo: I could see the similarity with Baklava and the sticky bun…. but I don’t think I noticed the tart-ness? I think it’s just the flakiness that resembles Baklava. I could see, now that you mention it (@chgo) the apple pie syrupy part…. I don’t really care for Baklava much but? 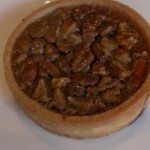 I also never was too fond of pecan pies (having had a million of them growing up….always one at our Thanksgiving and Christmas) but just had the ‘tart’ today and it really is just a mini pecan pie. Thought it was very good but would take the sticky bun over the tart. 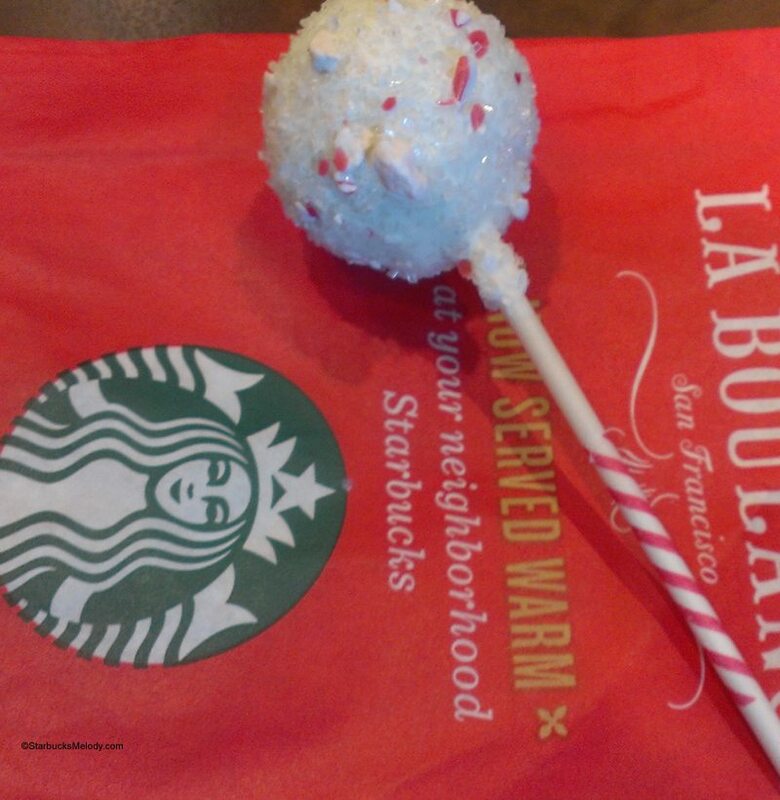 The peppermint-brownie cake pop is quite good. I’ll admit to being uncritically fond of most of the cake pops, though, including the salted caramel. My experiences so far with the Boulange pastries depress me, but the prospect of pecans might cause me to make an exception. @Denise – I checked a few online recipes for Baklava. It does indeed have lemon and or zest. So if the filling is like Baklava, then that is probably why I can taste that bit of tartness. Regarding Pecan Pie…. Would you believe I never touched the stuff up until about 10 years ago? I have found that there are 2 kinds of Pecan Pie. The really good or horrible kind…. I like the Starbucks Pecan Tart. The best Pecan Pie I have ever had came from a Lincoln Square Farmers Market. The pies come from Marilyn’s Bakery in Hobart Indiana. Oddly it is missing from their website. Denise, I miss the peppermint brownie too. We lost it in Canada a year or two sooner when they introduced the nanimo bar. I hope every year that it will be back. Waiting patiently for the arrival of La Boulangerie to Northern CA!!! I had the peppermint cake pop last year and enjoyed it. But that caramel pecan sticky bun sounds so good! I’m going to have to get to Starbucks ASAP! I got the Snowman cookies for my kids and they are HUGE! Normally I get one treat and split it between them. So size wise – totally worth the price but there ain’t no way either kid is sharing this divine delectable. True enough, they couldn’t finish a whole one by themselves and I got a piece. They are really good! 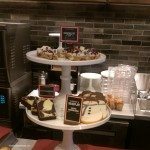 I love this pastry I’ve worked for Starbucks for 6 years and I have had some great pastries including the cranberry bliss bat but the sticky bun is pretty darn close to being my favorite I hope Starbucks doesn’t discontinue it.